Rabies is a disease caused by a virus that attacks the central nervous system and is capable of infecting any mammal. Transmission can occur via nervous system tissue or, most commonly, saliva. 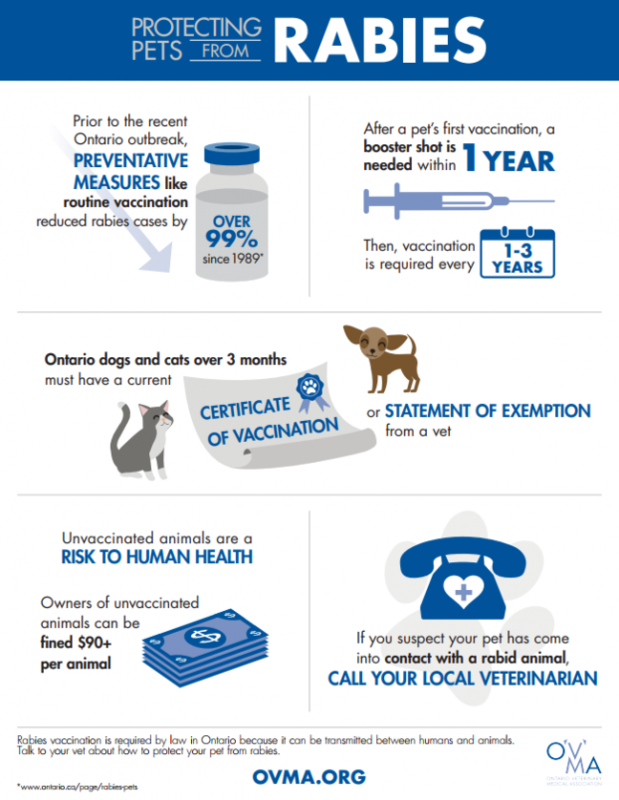 One of the world’s most deadly diseases, with a 99.9% fatality rate, all pets are required to be vaccinated against rabies due to the possibility of transmission to humans. Already in 2017, 82 cases of rabies have been confirmed in Ontario alone. (Canadian Food Inspection Agency). 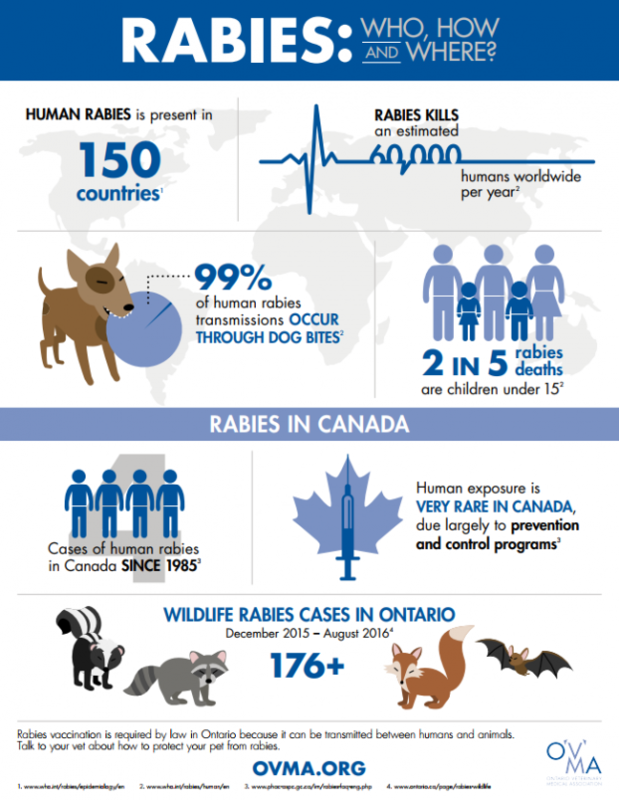 Learn more about rabies in Ontario from the Ontario Ministry of Agriculture, Food and Rural Affairs.